I started this project by printing out a body and a headtstock on some paper. This is done to make sure that all of the parts will fit, and so that I can see if everything is proportional. These papers will be used to mark the lines on the wood to be cut. 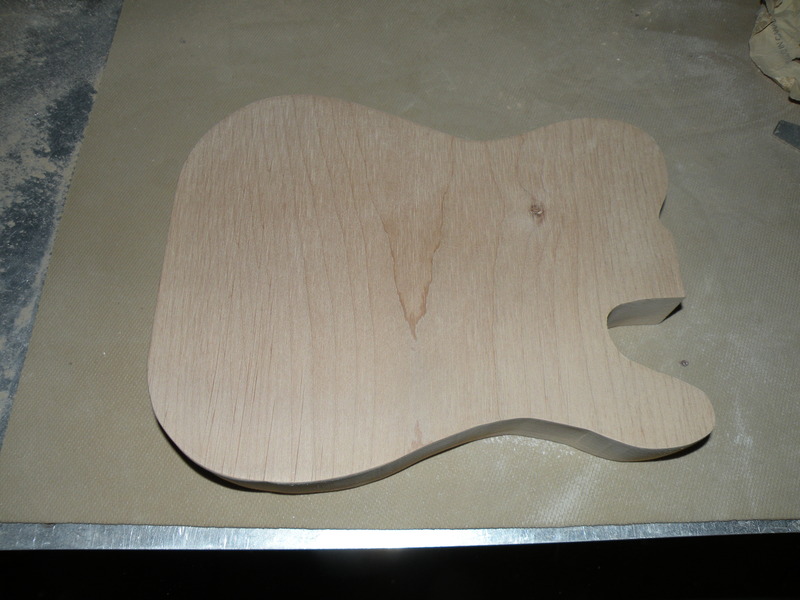 The body is made of 1.5 inch thick alder. I cut out the body with a scroll saw. A scroll saw is a great tool for this type of job. The body is now cut out. 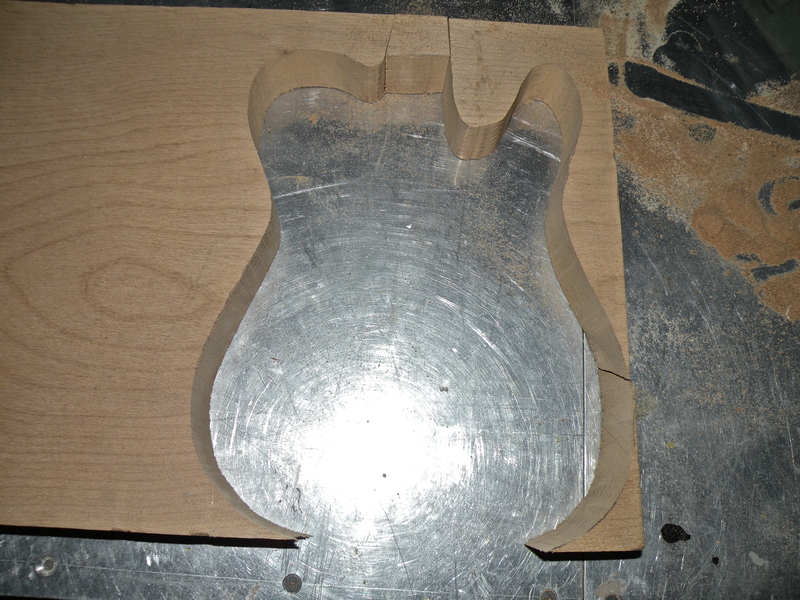 Next will come sanding, routing, drilling, and more sanding. When all of that is accomplished, then I can start preparing it for painting.